He is now 6.5 months old, can you believe it?! And we are doing baby-led weaning as well as some purees. 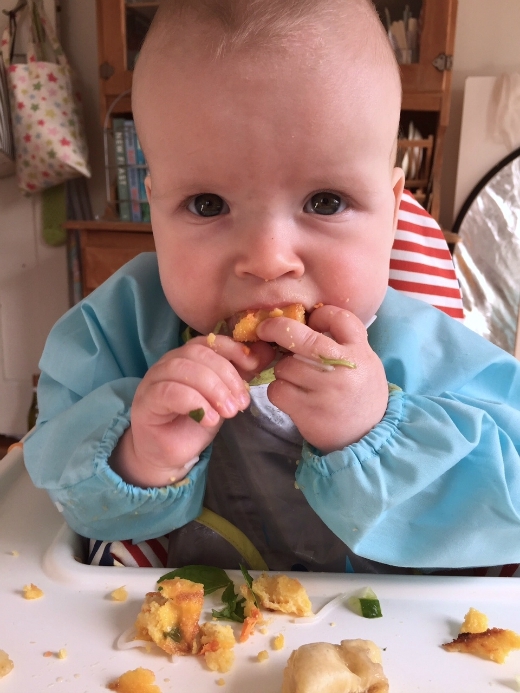 Not sure what baby-led weaning (BLW) is? Read more here. 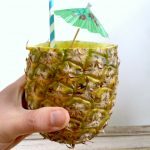 I like the idea that he can enjoy the foods that we have too so that’s where recipes like this come in handy. 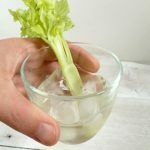 I know I promised not to become a baby-everything blog but this finger food recipe is really tasty for the whole family. I swear! Just season and serve them up with aioli or chutney for the adults. They are healthier than your average chip as they are baked, not fried and they have the added bonus of being gluten-free! Grease and line a 20cm x 30cm (base measurement) slice tin with baking paper. Heat the water, milk and butter in a large saucepan over medium heat. Bring to a simmer. Gradually whisk in the polenta. Cook, stirring, for 2-3 minutes, until thick. Remove from the heat and stir through the veges, peas and cheese. Spread into prepared tin. Refrigerate for 1 hour, until set. Preheat oven to 220°C (fan-forced). 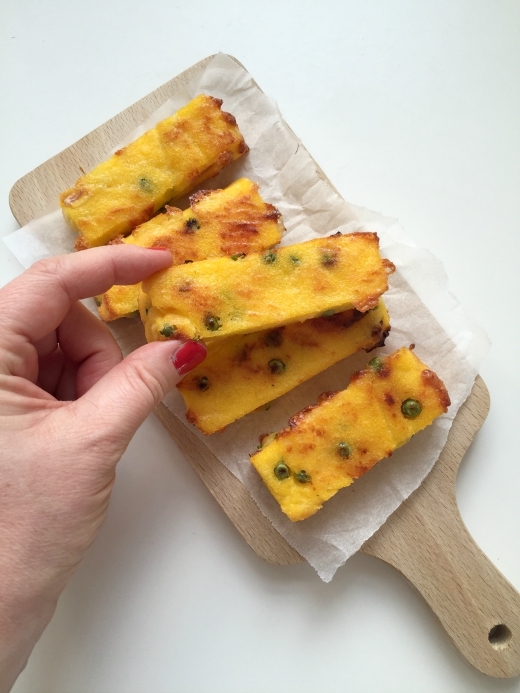 Turn the polenta onto a board. Cut into fingers. Place on trays lined with baking paper. Spray with olive oil. Bake for 20 minutes, turning once, until golden. 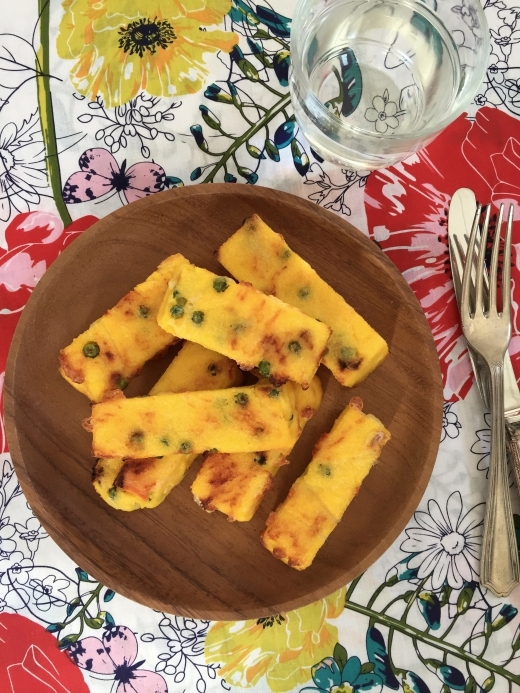 - This polenta recipe is a great base for you to add your own flavours. Try chopped ham or cooked bacon, herbs or chilli, different veges like corn or chargrilled capsicum, swap some of the cheese for feta or parmesan. You can see that Max is enjoying them!